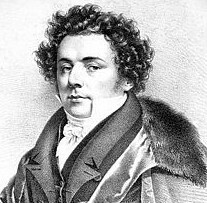 The singer Luigi Lablache, whose powerful but agile bass-baritone voice and wide-ranging acting skills made him a superstar of 19th century opera, was born in Naples on this day in 1794. Lablache was considered one of the greatest singers of his generation; for his interpretation of characters such as Leporello in Mozart’s Don Giovanni, Geronimo in Domenico Cimarosa’s Il matrimonio segreto, Gottardo the Podestà in Gioachino Rossini’s La gazza ladra, Henry VIII in Gaetano Donizetti’s Anna Bolena and Oroveso in Vincenzo Bellini’s Norma he had few peers. 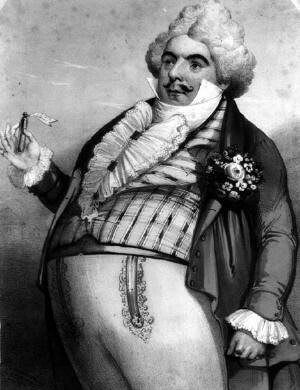 Donizetti created the role of Don Pasquale in his comic opera of the same name specifically for Lablache. Lablache performed in all of Italy’s major opera houses and was a star too in Vienna, London, St Petersburg and Paris, which he adopted as his home in later life, having acquired a beautiful country house at Maisons-Laffitte, just outside the French capital. He was approached to give singing lessons to the future Queen Victoria a year before she inherited the English throne, in 1836. He found the future queen to have a clear soprano voice and a keen interest in music and opera and they developed a close bond, establishing an arrangement that would continue every summer for 20 years, coming to an end only when Lablache’s health began to decline. Lablache’s father was a French merchant, Nicolas Lablache, who had fled Marseille during the Revolution. His mother was an Irish woman. They were well connected, and when his father died Luigi and his mother were helped by Joseph Bonaparte, a French diplomat whose elder brother, Napoleon, would eventually make King of Naples. 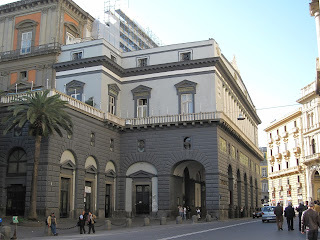 Luigi was sent to the Conservatorio della Pietà de’ Turchini in Naples, where he was taught singing and became proficient at playing the violin and cello. His burning ambition at the time was to act and several times he ran away from the conservatory, hoping to join a theatre troupe, but each time was brought back, not least because he had revealed himself to have a wonderful voice, at that time a contralto. Before it broke, he sang the solos in Mozart’s Requiem at the funeral of Joseph Haydn. Later in life, he would sing at the funerals of Beethoven, Chopin and Bellini. Once it had broken, his voice developed rapidly. In 1812, at just 18 years of age, he was engaged at the Teatro di San Carlo, Naples, and appeared in Valentino Fioravanti's La Molinara. He sang in Palermo from 1812 to 1817, when he moved to Teatro alla Scala in Milan to take the part of Dandini in Rossini's La Cenerentola. His reputation spread throughout Europe. From Milan he went to Turin, back to Milan in 1822 and then to Vienna via Venice. Returning to Naples after 20 years away, he gave a sensational performance as Assur in Rossini's Semiramide. In March 1830 he was first heard in London as Geronimo in Cimarosa's Il matrimonio segreto and from that year forward he would visit London annually. Despite his physical size and the natural power of his voice, Lablache had the dexterity to produce comic, humorous, tender or sorrowful effects when requred and was versatile enough as an actor to be equally convincing in comic and dramatic parts. 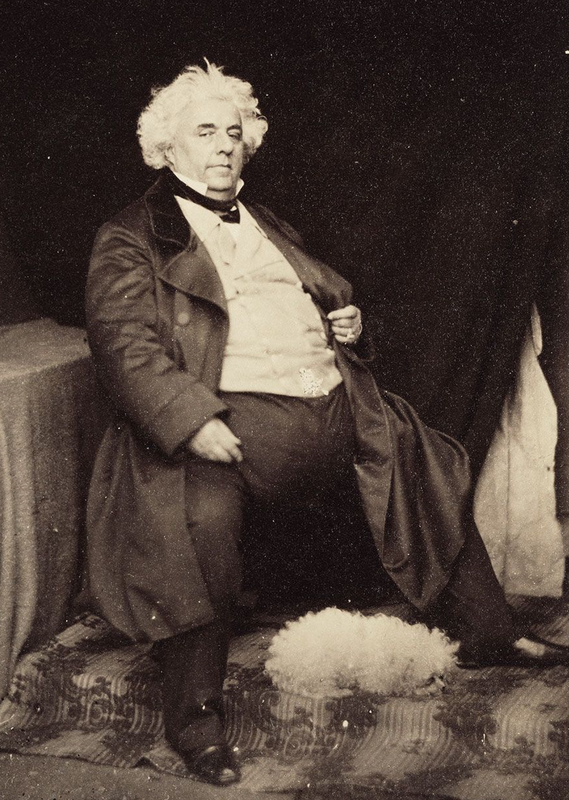 While his size was arguably an asset to his vocal power, he was naturally of a lazy disposition and it is said he would have been content had he been nothing more than a provincial singer. He was cajoled and encouraged to realise his potential largely by his wife, the singer Teresa Pinotti, whom he married when he was just 18 and who bore him 13 children. Several of his children became singers themselves. His descendants include the English-born Hollywood actor, Stewart Granger, who was his great-great-grandson. His health began to deteriorate in around 1857 and he returned to Naples, taking a house in Posillipo in the hope that the warm southern Italian climate might reduce his tendency to develop chest infections. The relief was only temporary, however, and he died in Naples in 1858 at the age of 64. His body was returned to France and he was buried at Maisons-Laffitte in accordance with his wishes. Posillipo is a residential quarter of Naples that has been associated with wealth in the city since Roman times. Built on a hillside that descends gradually towards the sea, it offers panoramic views across the Bay of Naples towards Vesuvius and has been a popular place to build summer villas. 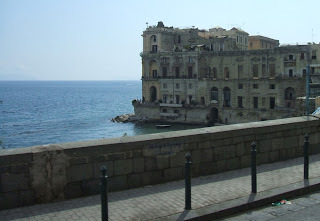 Some houses were built right on the sea’s edge, such as the historic Villa Donn’Anna, which can be found at the start of the Posillipo coast near the harbour at Mergellina. 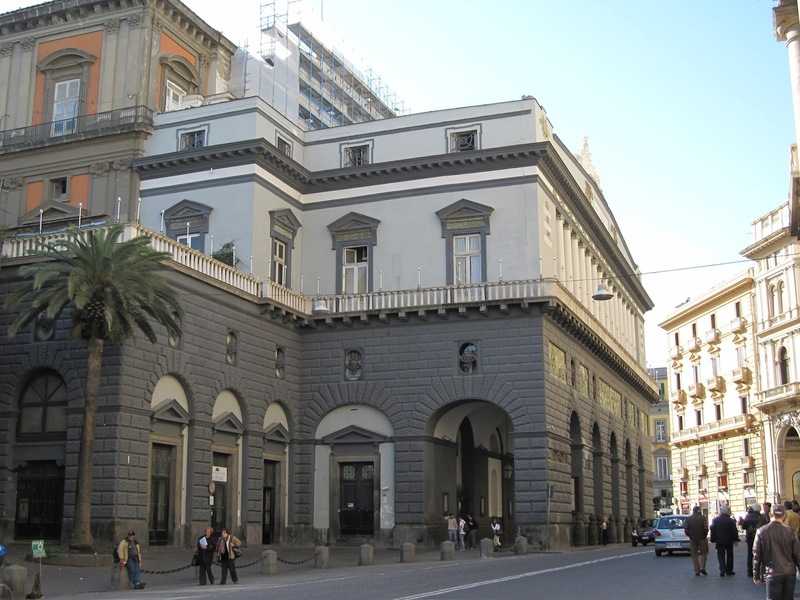 The Teatro di San Carlo in Naples, where Lablache made his debut at the age of 18, is the oldest continually active venue for public opera performances in the world, having opened in 1737, more than 40 years ahead of both La Scala in Milan and La Fenice in Venice. It was also, when it opened, the largest opera venue in the world, with the capacity to accommodate 3,000 spectators, a large number of whom would be standing but of whom 1,379 would have seats, including those occupying the 184 boxes, arranged in a six-tier horseshoe around the stage.